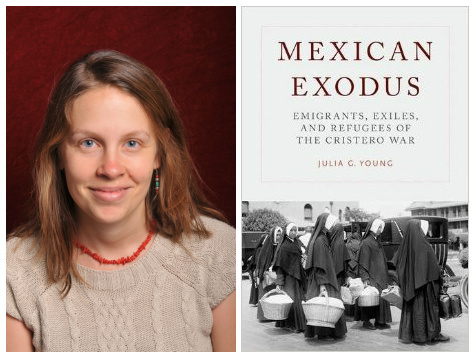 At UC, Julia desired to build on the work she started at CLACS and began to look at the roots of Mexican migration to the United States. As she began to get deeper into the archives and her research began to focus on from where and as to when the first large swathes of migrants began to cross over. In doing so, Julia began to uncover an increasing number of references to a little mentioned, but vastly important, conflict over what was for many of the participants, the soul of Mexican identity. The Cristero War, or La Cristiada as it is known in Mexico, was a series of conflicts from 1926-1929 throughout the country between anti-clerical secular reformers who sought to restrict the power and influence of the Catholic Church and Catholic partisans. 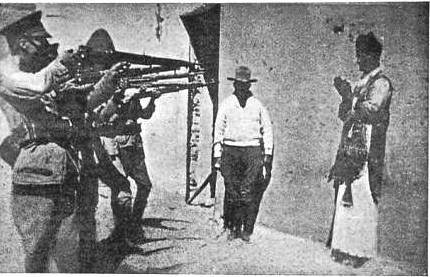 The violence began when in 1926 President Plutarco Elías Calles, in an effort to modernize the country, began to enforce a series of laws that limited the role of the Church in the public sphere including banning the wearing of religious dress in public, removing the rights of the clergy to vote and their ability to express political opinions. The Church responded by closing all churches within the country and suspending the celebration of religious sacraments including the ritual of Communion. In a country that was and still remains devoutly Catholic, the laws were seen as an affront not only to Church power but to the potential salvation of all practitioners. The Catholic partisans immediately began skirting the law, celebrating the sacraments, and openly challenging what they viewed as an oppressive political order. 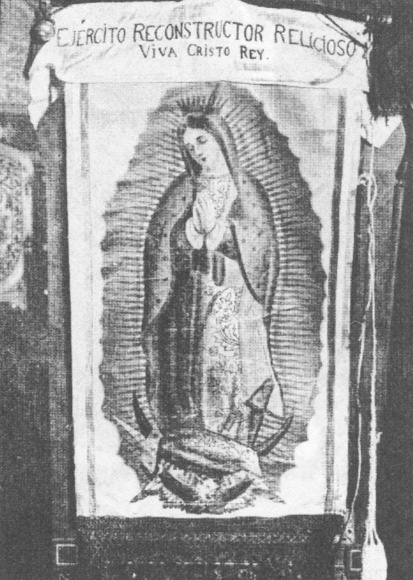 By the end of 1926, the partisans had taken up arms and a battle flag of Mexico’s patron saint La Virgen de Guadalupe. Although mostly located in the west-central states of Jalisco, Michoacan, Guanajuato, and Colima, outbreaks of violence spread throughout the country. The schism between the two sides developed into a full scale culture war. Deaths of the Catholic partisans given the martyr treatment and were seen as deaths of religious warriors. Cristiada corridos, or folk songs, were sung at every opportunity in order to challenge the nascent post-revolutionary national culture with a Catholic national culture based in traditional religious relationships. In the middle of this conflict, both literally and figuratively, was the US-Mexico border. In a foreshadowing of events to come in US-Mexico border relations, the majority of arms that the Catholic partisans used were produced in the United States. Some of those guns were smuggled across the border by nuns, or women dressed as nuns, in full habit. The violence in Mexico along with the allure of higher wages in the United States pushed tens of thousands of migrants from the most heavily embroiled states to the US. These Mexican emigrants did not leave their ideas and allegiances behind. As Young found, countless telegrams and notes sent along with remittances comment on the ongoing conflict in their home country. Beyond words, small groups of Mexican immigrants attempted to start a revolution in Mexico from their bases in the United States. In response, the United States government established the first form of the Border Patrol. The conflict officially came to an end in 1930, but, due to the nature of the cease fire, violent flare ups occurred throughout the decade in response to government authorized developmental socialist education. As Young discovered through her research and recounts to us in Mexican Exodus, the immigrant experience cannot be simplified into easily digestible narratives of coming to new countries with a blank slate. The migrants who left Mexico during the Cristero War held strong connections and concern for the events going on at home and distinct political ideas about how to aid and connect to their loved ones while managing to establish a new life in the United States. In this way, Young shows the intricacies of a diasporic community and how events consigned to history can continue to have lasting effects and lessons for us today. This entry was posted in Alumni Achievements, Publications, Recent Research and tagged CLACS-NYU, Cristero, history, Latin American research, Mexico, Religion. Bookmark the permalink.